The St. Marys Area Chamber of Commerce would like to welcome Meadows Cabinetry Inc. as a new member. Owner, Jacob Meadows, can help with designing luxury kitchens or baths, while still being friendly on the budget. Along with building custom cabinetry, Meadows can spruce up older or existing cabinets by resurfacing them with plastic laminate or wood veneer. Other services include: custom countertops, replacement doors, repairs on broken or missing doors and drawers, commercial or institutional cabinetry along with installation of wood and composite products. If your looking to spruce up the patio for spring, check out his selection of outdoor cabinetry for the grilling area. Meadows Cabinetry can assist with all your cabinet and design needs. Hours of operation are Monday through Friday from 8:00 am to 5:00 pm. For more information on Meadows Cabinetry please contact Jacob Meadows at 419-860-0736 or email at MeadowsCabinetryinc@gmail.com. The St. Marys Area Chamber of Commerce takes great pride in announcing that Evans Home Improvement is now a member of the Chamber. With over 50 years of experience, Evans Home Improvement has the expertise for any of your home improvement project. Founded over 50 years ago by Ronnie Evans, the company was originally named Evans Roofing. In 1999 the 2nd generation took over with son, Toby Evans, in the lead. Toby expanded services, and the name was changed to Evans Home Improvement. 2015 brought about more changes with the 3rd generation now having a managerial hand in the business; Toby’s son, Corey, is Project Manager. Evans Home Improvement specializes in roofing and siding, but if it has to do with general contacting or home improvements, they can handle it. Projects they have done include full builds of pole barns and garages and exterior work such as gutters, fences and concrete. They are able to do interior work such as drywall, insulation, trim, electrical, and painting. 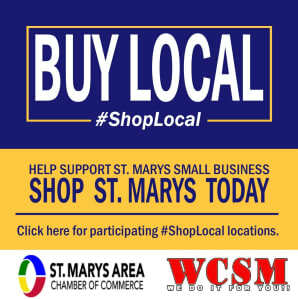 Evans Home Improvement has been serving St. Marys and the surrounding areas for over 50 years. Contact Evans Home Improvement today at 419-394-6326 for a free estimate or any questions you might have about improving your home or business. 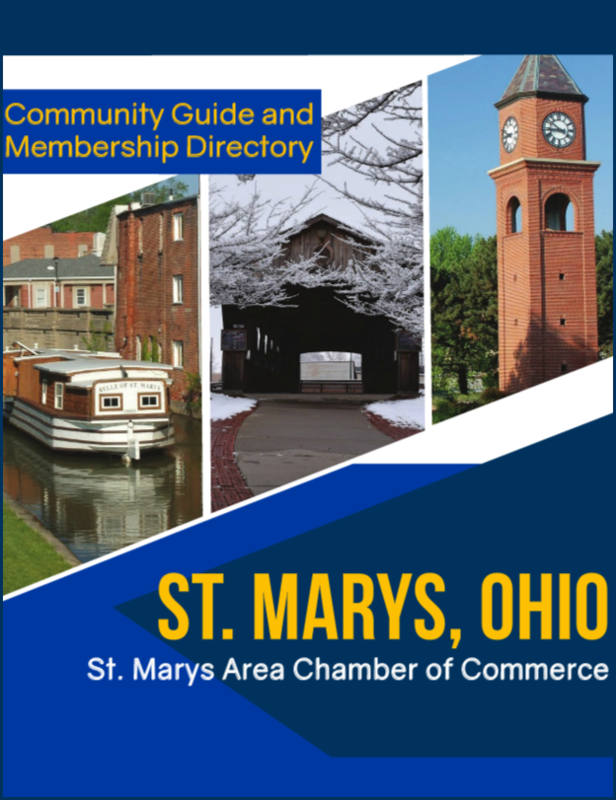 The St. Marys Area Chamber of Commerce is pleased to welcome Dogs-R-Us to the Chamber. Owners Mark and Shelly Fledderjohann have owned and operated the business for the last thirteen years. Shelly has been a member of the National Dog Groomer’s Association and a certified K9 stylist for the past 22 years. Mark and Shelly have grown their business to offer multiple services in one location. Looking for those special treats, or maybe a birthday cake for your furry friend? Dogs-R-Us has everything you need. The bakery features all-natural treats and CBD treats. Apparel is sold at the salon with Dogs-R-Us being the only licensed Ohio State apparel dealer in Auglaize County. Make sure you check out their selection of sunglasses, hats, collars and other wear. Dogs-R-Us is undeniably a one stop shop. Dog grooming being the most popular, Dogs-R-Us is proud to offer nontraditional services such as coloring, mud baths, facials, medicated baths, nail art (including French manicures) and more. Grooming all breeds of dogs, clients can be assured that Shelly and staff will be using a shampoo specific for your breed. Boarding and daycare are also available at the salon. Daycare and boarders are pampered with soft plush couches, a trampoline, ball pit, swimming pools and more. Your pet will have a wonderful day with nonstop activities offered at Dogs-R-Us. Located at 510 Clinton Street, Dogs-R-Us is open weekdays until 4:00 PM and closed Saturday and Sunday. Call (419) 300-3647 to schedule your pet and list of pricing.